When Justin and I made the deal that he would paint the nursery while I assembled the nursery furniture, I thought that it sounded like a fair arrangement. Justin would wield the paint brush since I shouldn’t be inhaling the fumes, and I would wield the screwdriver since putting together furniture fills Justin with a rage that burns with the fire of a thousand suns. After a busy and productive weekend, I’m thrilled to report that the nursery is painted and looking awesome and is now home to a fully assembled dresser and crib. And Justin has almost scraped the paint off of his arms and my back has almost returned to its normal and upright position. 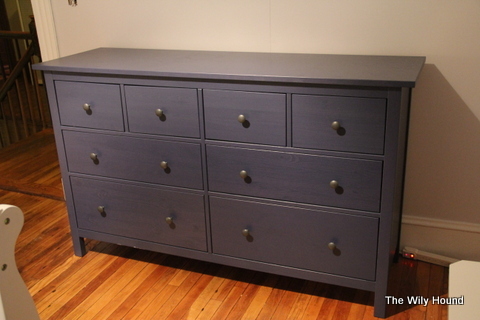 We ended up going with an IKEA dresser (a blue Hemnes number, for those who were wondering) and a jazzy white crib (this one, for those who were wondering) and we’re really happy with how they came out. That being said, I was a little surprised at the assembly process, both in length of time and in the amount of soul that was sucked from my being. Okay, maybe I’m being a little dramatic. Overall it wasn’t bad – heck, I even enjoyed a lot of the process. 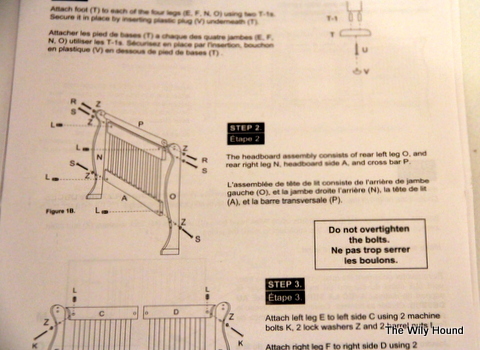 But I’ll admit that there were some dark moments – one can really start to get down on oneself when one tries for no less than 15 minutes to attach two pieces of a crib only to realize that one has been using the wrong sized screw the whole time. I would like to say that it was the baby stealing my smarts that caused me stare blankly at the instruction manual for what felt like hours with a screwdriver in one hand and the exact same screwdriver in the other hand, but I’m pretty sure I do this every time I embark on a furniture assembly adventure. 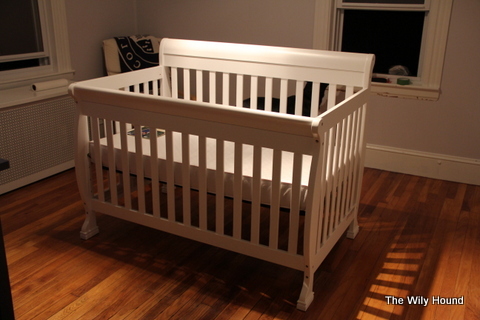 Now the crib, on the other hand, was a slightly shorter process, but it was frustrating. 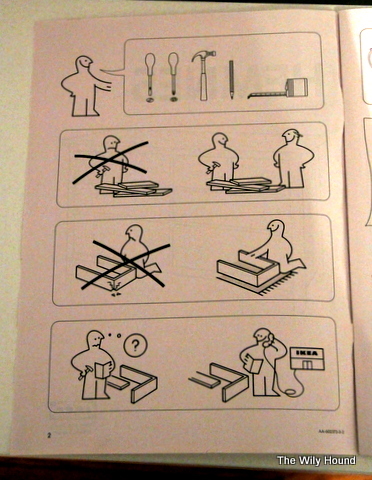 Granted, it was Sunday evening and I had been assembling furniture for what felt like the better part of my life at that point, so that might have had something to do with it, but the crib’s instruction booklet left me longing for the IKEA pictures that had carried me through the previous day. 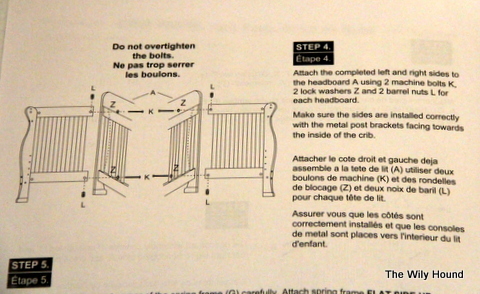 The crib instructions did contain words, which was a nice change of pace, but sometimes it helps to have a frowny-faced illustration to remind you of what’s right and wrong. The good news is, I realized that the crib wouldn’t fit through the door of the guest room (where the assembly process was taking place while the nursery was being painted) just as I was finishing putting it together, so I was pretty much a pro by the time I had to disassemble it and put it together a second time. 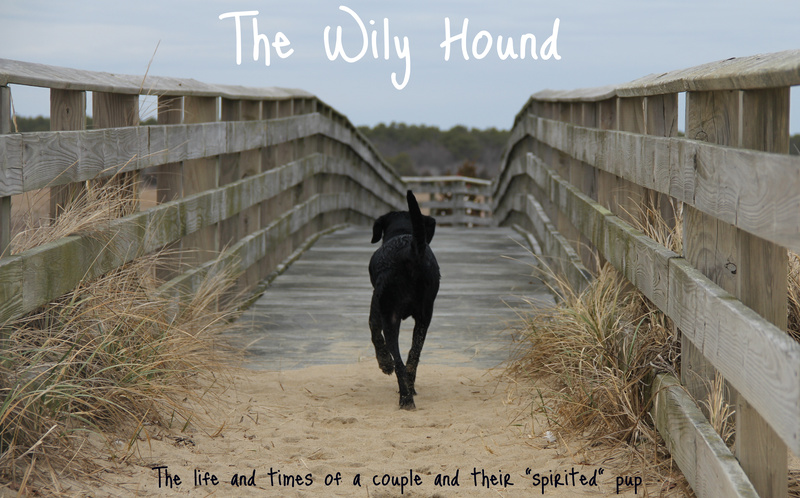 Bonus points if you can spot the hound in the picture above. Shockingly, we haven’t woken up to him sleeping in the crib yet, but we figure it’s only a matter of time before he learns how to use the step stool and swaddle himself to take a nap in there. Any other IKEA lovers out there?